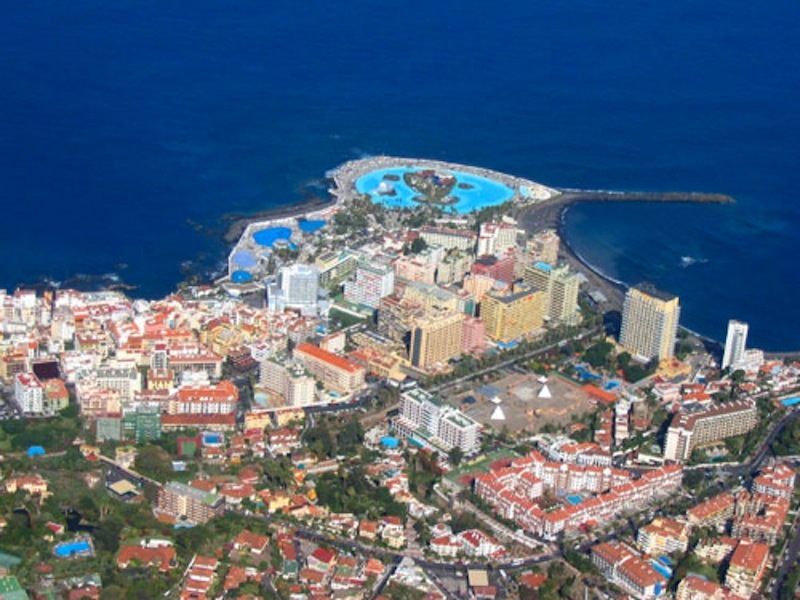 The tourist establishments of Puerto de la Cruz (Tenerife) closed 2016 with 15 percent more customers than the previous year, a total of 876,529 tourists, who represent the highest number of visitors in the last eight years. The Receptive Tourism Statistics of the Cabildo confirm that the increase in lodges occurs both in hotels (+13.6%) and in non-hotel establishments (+ 19%). Thus, in the four-year period from 2015 to 2018, 18 hotels will be remodeled in the tourist city, which will represent a total of 5,440 new places, with two new five-star hotels adding 356 more places to the current luxury offer. Puerto de la Cruz recorded last year 6,438,005 overnight stays, 17.9 percent more than in 2015. Of these, 4,608,641 were made in hotel establishments, which increased by 16.5 percent, a percentage that reaches 21.8 percent in the case of out-of-hotel establishments, which register a total of 1,829,364 overnight stays. The tourists staying in Puerto de la Cruz stayed an average of 7.34 days, so the stay increases by 0.18 points if compared to the year 2015. The average occupancy rate of the accommodation establishments in the area was 75.8 percent, 19.2 percent higher than in the same period of the previous year. Hotel occupancy stood at 79.9 percent (+17.1%) and in non-hotel establishments was 67.2 percent (+24.3%). The Spanish market, the main emitter of tourists to Puerto de la Cruz with a share of 45.9 percent, recorded an increase of 7.1 percent in relation to the previous year, with a total of 401,916 domestic clients housed in The tourist establishments of the municipality. For its part, international tourism increased its influx by 22.8 percent in Puerto de la Cruz, reaching 474,613 housed. Virtually all international issuers maintain a positive balance in 2016. German tourism, the main foreign issuer for the municipality with a share of 24.1 percent, increased by 17.2 percent to 210,989 lodged. The British market, which accounts for 9.4 percent of the total number of tourists staying in Puerto de la Cruz, increased by 42.9 percent to a total of 82,463 British tourists.